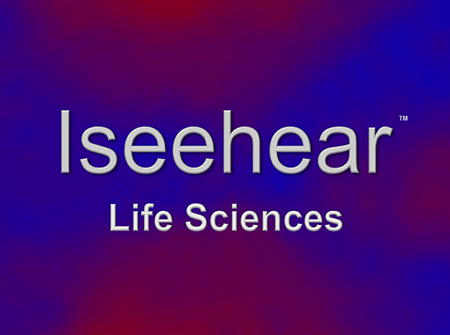 Iseehear Inc. Life Sciences (“Iseehear”, “we”, “us”, and “our”). Cookies set by the website owner (in this case, Iseehear Inc. Life Sciences) are called "first party cookies". Cookies set by parties other than the website owner are called "third party cookies". These cookies are strictly necessary to provide you with services available through our websites and to use some of its features, such as access to secure areas. Because these cookies are strictly necessary to deliver the websites, you cannot refuse them without impacting how our websites function. We suggest not to disable these cookies. These cookies are used to enhance the performance and functionality of our Websites but are non-essential to their use. However, without these cookies, certain functionality may become unavailable. We suggest not to disable these cookies. These cookies collect information that is used either in aggregate form to help us understand how our Websites are being used or how effective are marketing campaigns are, or to help us customise our Websites for you in order to enhance your experience. https://support.google.com/analytics/answer/6004245 These cookies collect information about the usage of videos including how many were viewed by a particular user, from where and how many times it was viewed. These cookies collect information about when subscribers have opened an email or clicked certain links. These cookies are used to identify malicious visitors, errors, reduce the chance of blocking legitimate users, and to provide customized services. These cookies are used to analyze trends, administer the site and track users’ movements around the site to improve site functionality. These cookies provide site monitoring, logging and diagnostics of the website. If you click on a hyperlink from Iseehear Inc. Life Sciences websites to any third-party websites (for example, if you 'share' content from Iseehear Inc. Life Science’s websites with friends or colleagues through social networks), you may be sent cookies from these third-party websites. Iseehear Inc. Life Sciences Inc. does not assume responsibility for the content or information practices of these other websites, and we strongly encourage all web visitors to review the privacy statements and policies of all externally-linked sites.